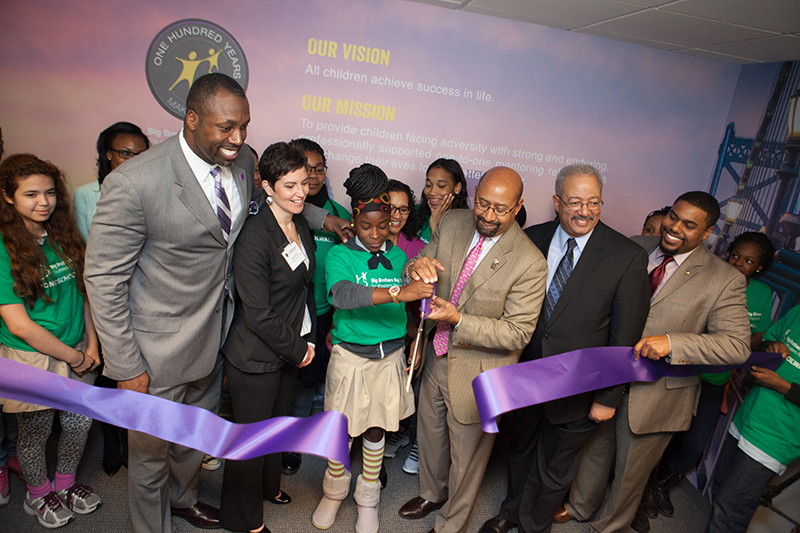 It’s hard to believe it’s been a full year since our ribbon cutting ceremony officially launching the Mentoring Partnership & Resource Center (MPRC). What an amazing year it has been. Between hosting mentoring trainings and movie screenings, art contests, convenings, attending national conferences and connecting with over 80 mentoring programs, we can’t say we were surprised that time has flown by! One year later, we find ourselves in March 2016, and we are deep in planning for our third convening of mentoring practitioners and the second implementation of our foundational best practices training, Building a Quality Mentoring Program Using the Elements of Effective Practice. In reflecting on this whirlwind of a year, it is fitting to re-state what exactly it is that we’re doing here. Formed as a capacity building initiative, and an affiliate of MENTOR: The National Mentoring Partnership, the MPRC is proud to work with mentoring programs across Eastern PA, to help them better serve youth through training, technical assistance, stakeholder engagement, advocacy, and data collection. Our support to mentoring programs is based on the research and evidence-based practices that we know are most likely to yield the best outcomes for children and youth. MPRC’s end goal is to increase the number of youth who have access to high quality mentors and high quality mentoring programs in our area and close the mentoring gap. With all of that said, we’d like to share some of our major accomplishments over the last 12 months and our vision for the next year and beyond. We have put tremendous effort into finding and getting to know mentoring programs. We have met with organizations as far north as Sullivan County and as far west as Berks and Lancaster Counties. To date, we’ve had direct contact with more than 80 existing mentoring programs, 14 start ups, and 240 friends and stakeholders in and around the field. The landscape of mentoring in our region is becoming more clear, and will inform the strategies we use to strengthen the field. To date, we’ve trained over 100 practitioners and mentors in research and evidence based practices in mentoring. In 2016, our goal is to triple that number to 300. We’ll do this by holding trainings open to the public, as well as working with our partners. We’ve provided more than 100 hours of free Technical Assistance (TA) to mentoring programs through OJJDP’s National Mentoring Resource Center. We’ve completed TA with two programs, and are currently working with nine others. We plan to expand our TA services next year to provide 400 hours to programs. We convened our network once in May 2015 and again in November 2015, engaging more than 90 people representing 50 mentoring programs coming together to share learnings about best practices. We presented at Big Brothers Big Sisters National Conference in June 2015 and at the National Mentoring Summit in January 2016. In December, WHYY’s NewsWorks did a story on our training curriculum, The Essentials: A Curriculum for People Who Mentor Young Black Men, which seeks to build the skills and strategies of mentors to help instill positive racial identities in young black men, and help them see their world as full of resources. We received proclamations from Governor Wolf and Philadelphia City Council recognizing National Mentoring Month in January 2016. Also in January, we participated in Capitol Hill Day in Washington DC, meeting with the staffs of five Congress people to advocate for mentoring legislation. The MPRC was proud to be a partner in the 76ers Mentoring Art Contest and event along with My Brother’s Keeper Philadelphia, the Philadelphia Youth Commission and Philadelphia School District. We made great headway in our first 12 months, but we have just started to scratch the surface of what we hope to accomplish as the MPRC. Here are a few of our high-level goals for the coming years. Continue to establish MPRC as a premier partner and gateway in the mentoring field. Develop strategy to close the mentoring gap in our region. Develop an advocacy agenda that leverages and increases resources for mentoring programs. We have truly enjoyed the collaboration and ability to connect individuals, partners, and programs in Eastern PA. We look forward to continuing this in 2016 and beyond. Thank you for engaging with us. Whether you are a mentor, mentoring program practitioner, stakeholder, or supporter – you have been an integral part of our inaugural year. If you would like to learn more about the Mentoring Partnership & Resource Center (MPRC) or have questions, please reach out to me. We are here to serve you. Make sure to register your mentoring program or look for volunteer opportunities on Mentoring Connector. Here’s to a great Year 2!